New Building Levels and Event! Military Institute and Staff Headquarters are getting some new levels! New levels for both will be 17, 18 and 19!! These New Levels will be online at 10:00 CET. Make ready! Levels 17 and 18 will have Normal construction time, but level 19 will get a construction time Event. Check it out. 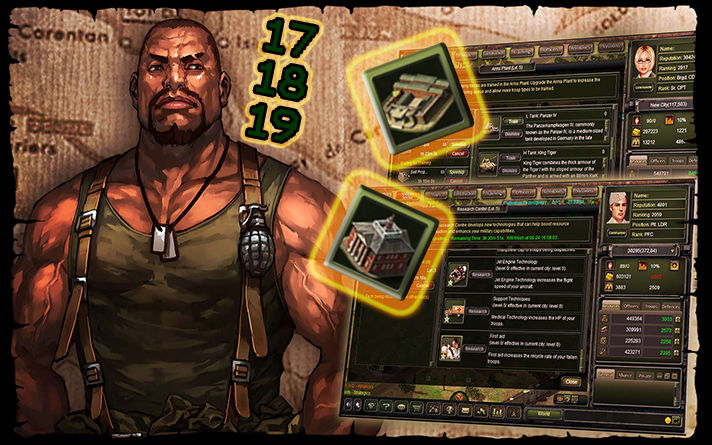 During the time below, your Military Institute and Staff Headquarters will upgrade in one hour from level 18 to 19! This means Levels 17 and 18 will have normal construction time, but going from level 18 to 19 will only be one hour per building!